U.K. Prime Minister Theresa May has overwhelmingly lost a crucial vote on her Brexit plans in the House of Commons, the U.K.’s lower house of parliament. May lost by 230 votes after lawmakers voted by 432 to 202 to reject the deal. Politicians from different political parties rejected the proposed Withdrawal Agreement, currently the only deal agreed with the European Union on how Britain should exit the bloc in March of this year. It’s reportedly the largest defeat for a sitting government in U.K. political history. Despite the result, and expressing a defiant tone, May told lawmakers that she wanted to show those who voted to leave the EU that it was her “duty to deliver” on Brexit. Meanwhile, the leader of the opposition Labour party, Jeremy Corbyn, said he would now table a motion of no confidence in the government during parliamentary business on Wednesday. Ian Blackford, the leader of the Scottish National Party — which is the third largest party in the parliament — confirmed that it would support Labour’s motion. May’s deal with Europe is seen by some as a sell-out to the ideals of Brexit, reducing Britain’s influence while staying within many of the EU’s rules. And many of those who oppose Brexit didn’t like the deal either. They have argued that it will reduce Britain’s ease of trade with the world, repel global talent, and increase the cost of living. The result creates a political vacuum in the Brexit process, with no firm certainty as to what might happen next. 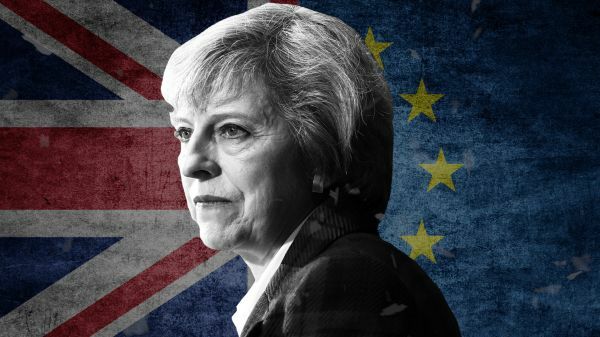 Potential outcomes range from a revised attempt by May to force her plan through, a second Brexit referendum or even a General Election. May added on Tuesday evening that she would now make a statement to the Commons on Monday 21 where she is due to present a “plan B” for the exit agreement. May also confirmed that she would make time to debate Corbyn’s no-confidence motion. “We need to confirm whether the government enjoys the confidence of the house. I believe that it does, but given the scale and importance of tonight’s result it is right that others have the right to test that question if they wish to do so,” she said. Following the heavy defeat, the pound gyrated briefly below $1.27 before recovering. Sterling had been sitting near session lows at $1.273 prior to the vote. Analysts at Capital Economics argued that the heavy defeat for May may actually be a boon for the U.K. economy. “This defeat surely means PM May’s deal is dead,” Paul Dales, the chief U.K. economist at the firm, said in a research note. “Even if May tries to resurrect it by stating by Monday 21st that her Plan B is to seek more concessions from the EU … The magnitude of the loss means the EU might see little point in as it is unlikely to sway enough MPs,” he said. “That said, May’s initial statement after the defeat was more conciliatory than we expected and implies that perhaps she will change direction to try and find a resolution that Parliament supports,” Dales added. Tuesday’s vote in the House of Commons was termed the “Meaningful Vote” and granted lawmakers to have their say on the terms of Brexit that the EU and British government have already agreed. It was only granted to U.K. lawmakers after British businesswoman Gina Miller won a 2016 court case in the High Court of Justice, demanding that Parliament must have a say. On June 23, 2016, voters in the U.K. favored leaving the EU by 51.9 percent. The U.K. is legally set to leave the political and trading bloc on March 29.